We recognize that we and others in the tech sector have the first responsibility to address these issues. Brad Smith, Microsoft president and chief legal officer, speaks at Microsoft’s security news briefing on April 16, 2018. Brad Smith, Microsoft president and chief legal officer, speaks about using intelligence to advance security from the edge to the cloud. Brad Smith, Microsoft president and chief legal officer, holds up a microcontroller unit (MCU). 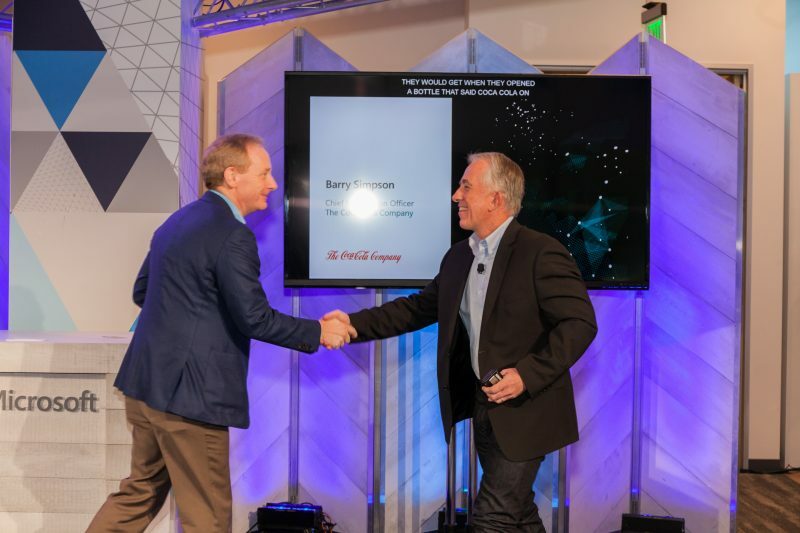 The Coca-Cola Company’s Barry Simpson (right), and Microsoft’s Brad Smith, speak together during Microsoft’s security news briefing on April 16, 2018. Mastercard’s Ron Green (left), and Microsoft’s Brad Smith, speak together during Microsoft’s security news briefing on April 16, 2018. Barry Simpson, The Coca-Cola Company chief information officer, speaks at Microsoft’s security news briefing on April 16, 2018. Ron Green, Mastercard chief security officer, speaks at Microsoft’s security news briefing on April 16, 2018. 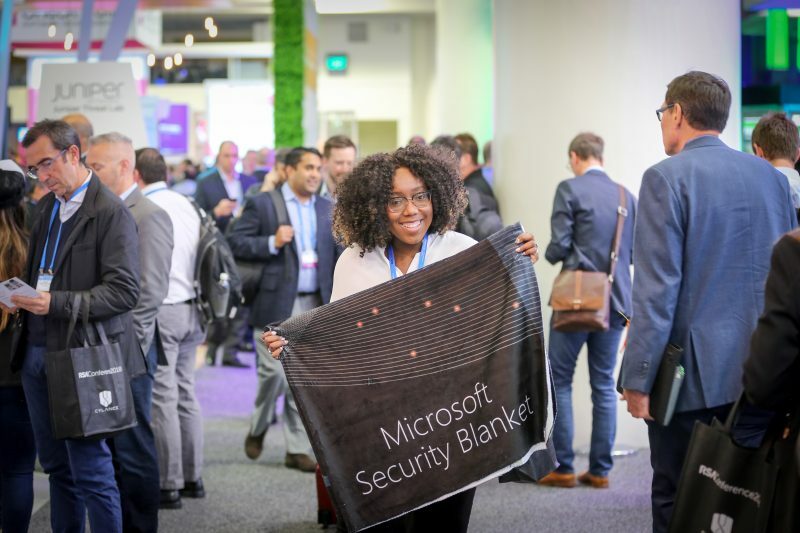 Jessica Afeku, Microsoft product marketing manager, holds up a “Microsoft security blanket,” distributed at the company’s booth at RSA on April 17, 2018. 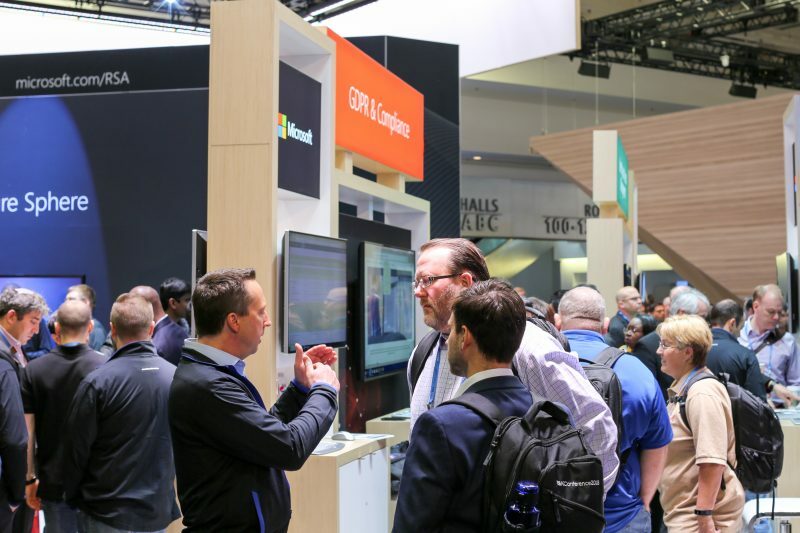 Kelly Anderson, Microsoft product marketing manager, addresses a crowd at the Microsoft booth during RSA on April 17, 2018. A Microsoft spokesperson speaks to attendees at the Microsoft booth at RSA on April 17, 2018. A Microsoft spokesperson speaks with attendees at the Microsoft booth at the RSA Conference. 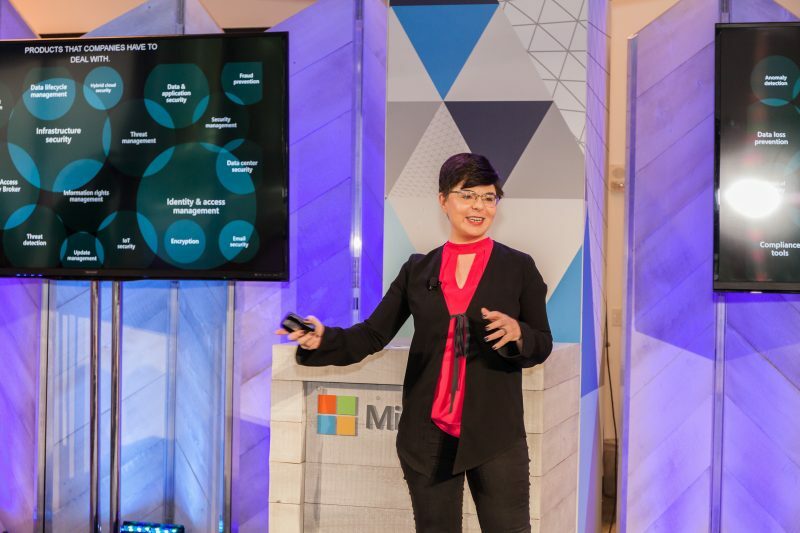 Diana Kelley, Enterprise Cybersecurity Group, CTO, speaks at Microsoft’s security news briefing on April 16, 2018. Microsoft spokespeople demonstrate secure and easy authentication using FIDO 2.0 security keys and Windows Hello. At Microsoft's security news briefing, attendees were able to experience Azure Sphere, the industry's first holistic solution to secure connected microcontroller units (MCUs) from the silicon to the cloud. Microsoft spokespeople demonstrate Microsoft Secure Score and the new Attack Simulator in Office 365 Intelligent Threat protection. At a security news event in San Francisco, a Microsoft spokesperson shows how the new Microsoft security API helps security solutions talk to each other. Microsoft announces security protection for the next generation of cloud and edge devices powered by microcontroller units (MCUs) at a security news briefing on April 16, 2018. Ann Johnson, Microsoft vice president, Strategic, Enterprise & Cybersecurity, speaks at AGC Partners’ 2018 Information Security & Broader Technology Growth Conference on April 16, 2018.